You are browsing the archive for OKF Czech Republic. In Brazil, the OKFN Brasil community has been engaging the the Open Government Partnership activities, reporting on civil society participation and urging the government for more open participation. The community has also begun to get involved in the Open Food Facts project, which attracted a bit of press attention. An initiative led by Ação Educativa has also started a working group to analyse open data around Brazilian education, with support from the local OKFN group. Ale Abdo, from OKFN Brasil advisory board, has published a guide on how to publish your thesis in LaTeX or ODT with an open license, and an effort to map the timings of lights at pedestrian crossings has begun. On the blog, Natália Mazote voiced interesting reflections on the participation of women in coding, and Thiago Rondon, also from the advisory board, discussed the importance of open hardware. Finally, an association of investigative journalists in Brazil, Abraji, has gathered volunteers to translate the Data Journalism Handbook to Portuguese! In collaboration with the City of Ghent, iMinds, Ghent Web Valley and Ghent living lab, OKFN Belgium organized Apps for Ghent for the third time as part of an effort for citizens of the city of Ghent to show that Open Government Data can make the life of citizens easier, better or more fun. This edition welcomed 15 teams that worked on concepts from a smarter government service, to participation and sustainable energy. The local jury awarded Sumocoders with the first prize for “how busy is it now”, a tool that analyses different data sources to estimate which squares are too crowded. Congrats! It is worth noting that Apps for Ghent is not the only Apps for X event initiated by OKFN Belgium. Soon there will be Apps for VDAB, Apps for Flanders, Apps for Geo, Apps for Culture and many more. A full list can be found in their calendar. The idea of the Big Clean builds on the past. It dates back to the Open Government Data Camp in the fall of 2010, when its concept, originally conceived by Antti Poikola, was shaped during one of the camp’s workshops. This year’s Big Clean follows up on the topics laid out by the previous Big Clean in 2011. You can read about the experiences from the Big Clean on the OKFN blog. Unlike the Big Clean in 2011, this year’s Big Clean is meant to be a truly international event. Based on the popularity growth of the Big Clean’s core topics, we want to make it bigger and better. We invited leading experts and important voices to talk about the key aspects of recycling public sector data from the viewpoints of screen-scraping, data refining, and data-driven journalism. To keep the event open to a wider audience, the event’s language will be English and no admission fee will be charged. Do you want to know more? Read up on the Big Clean on its web site or follow @BigCleanCZ on Twitter. Open data in Austria enjoys support from various levels of the public administration, and as a result Austria is one step ahead of the Czech Republic. Last month, we held a seminar to learn from each other’s experiences. Austrian initiatives promoting greater openness of government data, such as the Open Knowledge Forum Österreich, have managed to involve a wide array of stakeholders ranging from politicians to activists, and the country now hosts quite a number of related events, such as the Open Data & Business or the recently established Open Government Data Conference. Still, is has to face the same challenges other countries encounter on their way to open up data. Given the Austrian headstart in open data activities compared to the ones in the Czech Republic, a seminar was held under the title “Open Data and Public Sector: applying Austrian experience in Czech Republic” so we could learn from Austrian practical experiences of taking first steps towards better availability of such public data. The seminar took place on February 28th, 2012, in the centre of Prague in the Chamber of Deputies, under the auspices of Jan Farský, a member of parliament. The main target group of the seminar consisted of Czech politicians and civil servants, who came to hear from their Austrian peers. The event was organized by OpenData.cz together with OKFN-CZ and was supported by the LOD2 Project and Open Society Fund Prague. 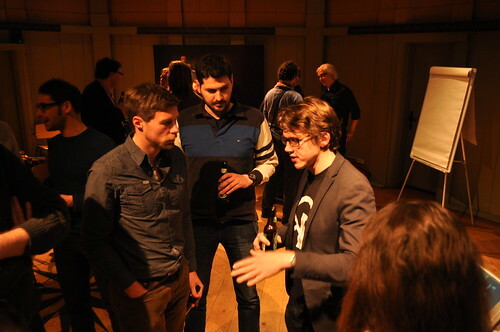 The programme was opened by Jan Farský, who went through the reasoning that led him to support open data. This overview provided a perspective of a politician, who realized that the public sector is not able to make applications for citizens in a cost-efficient way. However, as various evidence suggests, it often suffices to provide the public sector data and the applications will follow, for free. The main part of the seminar consisted of presentations by the Austrian guests. Martin Kaltenböck from the Semantic Web Company kicked off, introducing the key concepts of open data and how they are underlying the vision of open government. A perspective of the Austrian federal level was brought to the fore in the next talk by Daniel Medimorec from the Austrian Federal Chancellery, emphasizing the vast, yet not insurmountable challenges that governments decided to put open data principles into practice face. What followed was the talk discussing view of the city Linz by Stefan Pawel representing the Linz Open Commons initiative. Of the applications shown, the one that caught the most attention was probably Linz Linien, a visualization based on streaming open data showing Linz public transportation in real-time. The Austrian session was finished by Marco Schreuder, who shared his views as politician from the Green party. To complement the Austrian side, the ongoing open data activities in the Czech Republic were presented. First, Jakub Mráček from the Open Society Fund Prague announced the publication of Open data in the public sector: new era of decision making (in Czech), and provided information about the recently launched portal Náš stát.cz, that offers a guide to the Czech projects and applications that build upon public sector data. Jan Kučera from the University of Economics, Prague, presented the as-yet unofficial Data catalogue of Czech Republic. The session was dedicated to open data business cases, that were “commissioned” by Jan Farský to provide him with strong arguments in favour of open data. For instance, a case for a price map of cycle paths or an application showing time slices through the legislation in force were suggested. In the final part of the seminar, three applications using Czech public sector data were demonstrated by their authors. This showcase featured Budování státu visualizing government spending, Váš majetek aggregating notices about auctions of public property, and Map of Public Contracts that explores the public contracts that were tailored to the suppliers. Not only did the seminar provide a chance to learn from the Austrian experiences and to follow their lead in the Czech Republic, it also served as a meeting opportunity for the representatives of Open Knowledge Foundation’s local chapters, as the members of Czech, Austrian, and Italians chapters were present. Hopefully, it resulted in a useful knowledge sharing about overcoming the initial difficulties when starting with open data in the public sector. To find out more about the seminar, please see its website. The slides and the links to the applications that were presented can be found there. Community Note: The Czech Republic hosts one of our incubating OKFN:LOCAL groups and its organisers have held several regional open knowledge meetups in Prague to date. They are currently looking for more collaborators to join the community – introduce yourself on the OKFN CZ discussion list to get involved. Footnote: All photos accompanying this blog post were kindly provided by Martin Kaltenböck under Creative Commons Attribution 3.0 Austria License. Austrian-Czech conference focused on politicians – people from Austrian open data initiatives and politicians that work with them will come to Prague to share their experience with successful use of open data in civil service with their Czech fellows. The event is supported by the LOD2 project. One World Social Innovation: data- driven journalism workshop – OWSI is a competitive section of One World International Human Rights Documentary Film Festival, open to projects that use new media for social good. The organisers prepared a set of accompanying events focused on new technologies and its potential for civic participation and right now they working on a data-driven journalism workshop for journalists and watchdog organizations (follow @OWNewMedia for more information). Note: This post is by Jindřich Mynarz, one of the talented organisers of the OKFN’s newest Local Chapter in the Czech Republic. In Prague? Come to the Chapter’s first meetup next week. The year 2011 has seen a sustained growth of interest in open data and open knowledge in the Czech Republic. There’s been a lot of discussions about the openness of the public sector, an uptake of open data principles, and an increasing investment in open data projects by NGOs, citizen activists, and other informal groups. Many successful open data events have taken place, such as the e-Democracy Day, Big Clean and Průhledná politika online offline (Transparent Politics Online Offline). Interesting applications have appeared, such as SmogAlarm, an Android app for tracking current levels of air pollution, or VášMajetek.cz (YourProperty.cz), which collects and publishes information about auctions of public property coming from different sources. To match this progress, we have just entered the incubation phase for the Czech Chapter of the Open Knowledge Foundation. This step is intended to support, coordinate, and spur the potential that we have recognized in this promising turn of the affairs towards a greater transparency and wider use of open data practices. Open Society Fund Prague, the organiser of the meetup, will introduce the concept of an umbrella website serving as a dispatcher for various projects working with open data. Come and learn about what is planned and discuss the direction that it should take. We would like the members of the Czech open data community to get to know each other in person and listen to what you are working on in your open data activities and hacks. This meetup is for you to learn from your peers about their new projects – and to explore the extensive beer menu in the venue. Come up and join the open data community! 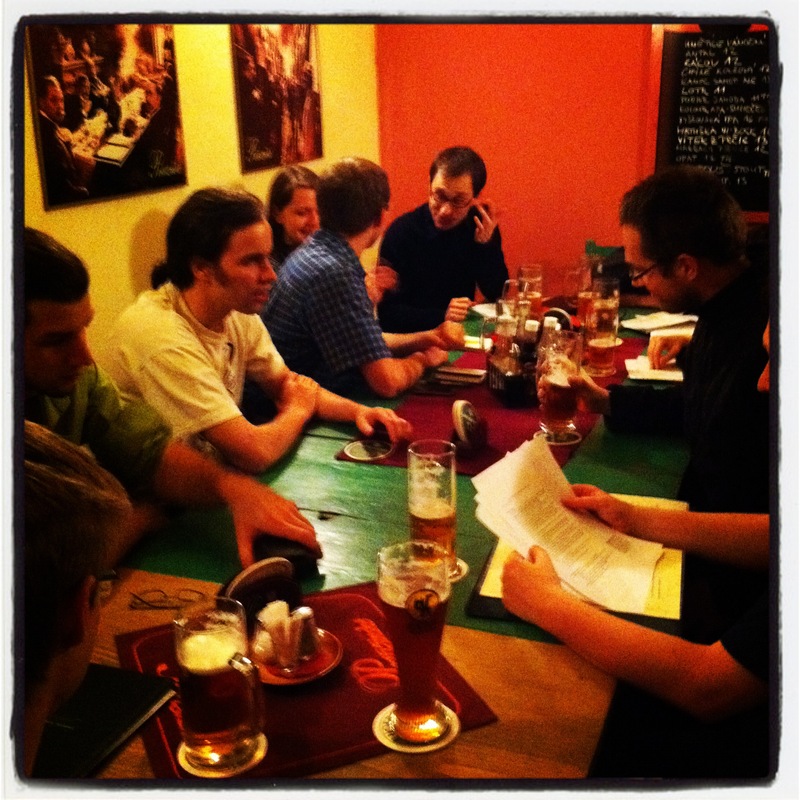 Date and time: December 14th 2011, 7:00 PM (CET) Registration: http://goo.gl/wLC7C Meetup: http://goo.gl/1bqQp Venue: Kulový blesk, Sokolská 13, Praha 2 (map: http://goo.gl/Vn2aX, Foursquare: http://goo.gl/lGgvB ) Twitter hashtag: #opendatacz Organiser: Open Society Fund Prague (Michaela Rybičková) Note: Thanks to Flickr user ‘Steffy‘ for the photo of Prague.